Think of this for a moment – you wake up and check your Bitcoin wallet to see that your bitcoins are missing! On further digging, you could find they have been transferred to another public address for which you don’t control the private keys. Can you imagine how horrible such a scenario could be? Well, I know some of you have been there and that’s precisely because of the lack of self-education and awareness. But now the old days are gone where you need to hassle and keep your long strings of private keys safe in order to ensure your security. Now there are more superior ways through which you can secure your Bitcoin and other cryptocurrencies, one being through Mnemonic phrases and Mnemonic passphrase via an HD wallet. You need not worry if you don’t know about these terms now. By the end of this article, you will have a smile on your face. Well, these two terms look alike but they are not. However, they are interrelated. Let’s dig into them one at a time and help you correlate both in the end. A mnemonic phrase, mnemonic recovery phrase, mnemonic seed, seed key, and seed words are all different names of the same thing. If you break ‘mnemonic phrase’ you will understand ‘mnemonic’ stands for ‘a system such as a pattern of letters, ideas, or associations which assists in remembering something, while ‘phrase’ stands for ‘a small group of words’. On a similar concept, in the realm of Bitcoin or cryptocurrencies, we have a mnemonic phrase. These mnemonic phrases stores all the information that is needed at any point in time to recover your bitcoins or altcoins. Whenever you make a new wallet, the wallets prompts you to note down 12, 18, or 24-word mnemonic phrase or seed on a piece of paper or in some secure place. It is done in order to ensure you have had a back-up in a scenario where your device breaks down or becomes unusable due to any reason. In such cases, all you need is your mnemonic phrase to recover all your funds. Hence, it becomes of paramount importance to learn how to safely secure your mnemonic phrases for your Bitcoin and other cryptocurrency wallets. And that’s where mnemonic passphrase comes into the picture. Mnemonic phrases are like back-ups that can store all and any number of bitcoins for you but it is quite dangerous to rely on just a string of words for securing all your funds. That’s why there is a mnemonic passphrase, which is, a sort of second factor or two-factor authentication for your crypto wallet. Whenever you make a new wallet, the wallet gives you a mnemonic phrase to store it safely but some wallets also ask a password to encrypt the 12, 18, 24-word mnemonic phrase. This extra password or word is called passphrase. This adds a second layer of security to your crypto wallet and both the mnemonic phrase and the extra word (password/passphrase) are required to recover the wallet. Some wallets call this passphrase a “seed extension”, “mnemonic extension”, “Salt” or “13th/25th word”. 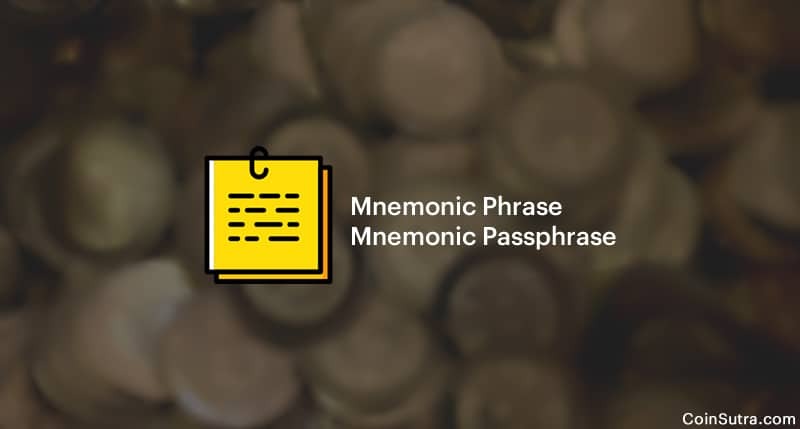 The mnemonic passphrase could be written down alongside the mnemonic phrase, or it could be memorized to create a two-factor mnemonic phrase where both – “something you have” i.e. mnemonic phrase, and “something you know” i.e.mnemonic passphrase – are required to unlock your bitcoins or altcoins. That is why this feature is powerful and has the potential to save your funds even in the worst case where your seed or mnemonic phrase is stolen and even seen by others. Note: One should keep this extra word i.e. passphrase as something which is very hard to guess or be cracked by brute-force. Also remember this passphrase always as forgetting it will result in permanent loss of bitcoin or altcoins stored in that wallet. I cannot stress more on the fact that if you are into crypto, you are self-sovereign in case of your money too. Nobody controls your money here and you are the one solely responsible for securing it. That is why it is always recommended to follow the best practices for securing your mnemonic phrase and mnemonic passphrase. 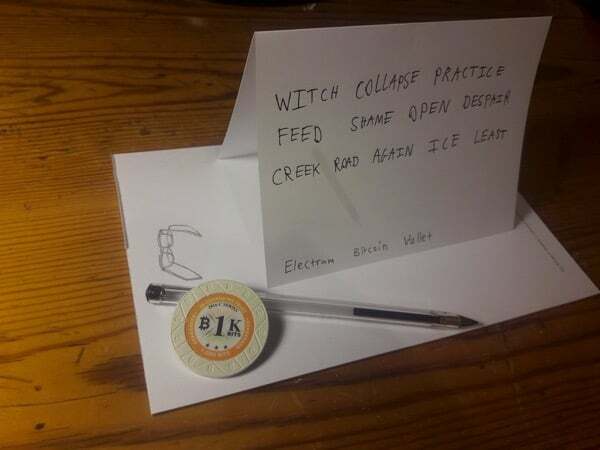 Here are some of the ways to do the same: How To Keep Your Recovery Seed Safe And Secure. You can also learn about passphrase feature from our Trezor video as shown below. If you like this post, don’t forget to share it on Twitter and Facebook. Hi. I use Bitcoin Core v16 (latest version). Can I extract the mnemonic phrase from this wallet? If so, what is the procedure please?